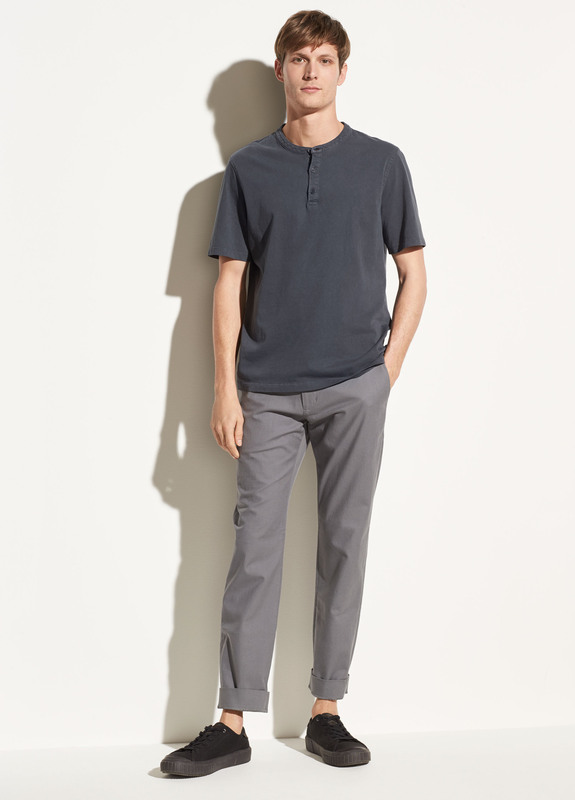 The Griffith chino is done in smooth stretch-cotton with a substantial weight. 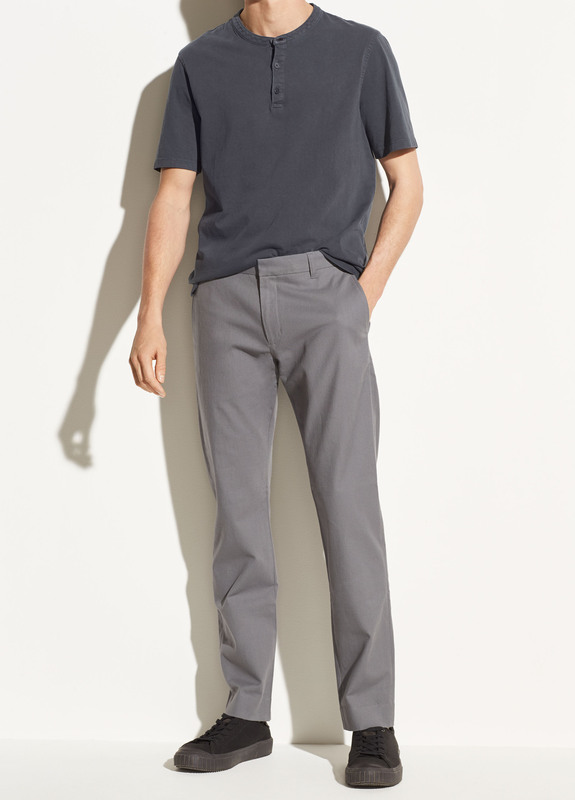 Key details include a relaxed shape and clean finish waistband. 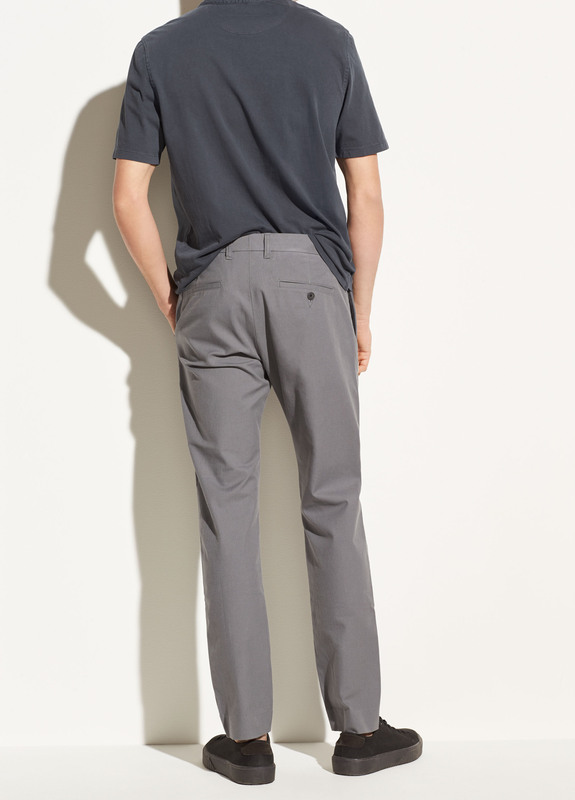 Two on seam pockets, two button-fastening back welt pockets.